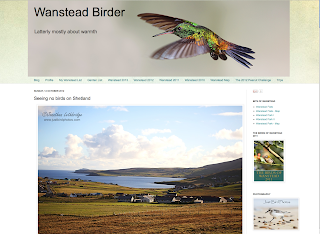 It's that time of the year again - well it would have been if I had got these done in time – the Randon’s Ramblings Birding Awards for 2012 in 2013! Apologies for the slight delay – just not enough time to fit everything in, and due to various constraints the Awards are a bit clipped this time around. On a personal level 2012 had been a strange year in many ways. It started off with a plethora of new birds and a Surrey year list that promised to be the best yet and then it all went to pot. It was a year when I spread my birding wings a little further and went on a few longer distance twitches – nothing more than a 300-mile round trip, but that in itself is quite a commitment and involves risk. 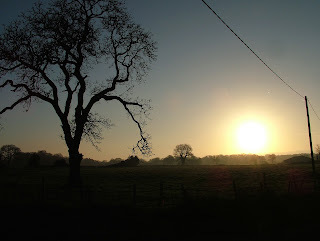 Fortunately the long-distance jaunts tended to be quite successful ones, it was those closer to home that took more effort and could be the most disappointing. The Surrey list started with a bang with some excellent species during the first few months, including Short-eared Owl, Iceland Gull, Mediterranean Gull, a satisfying Glaucous Gull, Great Grey Shrike, Dartford Warbler, Raven. It was looking good until I missed out on the 15 Dotterels that arrived at Canons Farm on May 4. I was working at Racing Post that day and just couldn't get back in time to go and see them. They flew off just after dark and that was that. Everyone I know went and I missed out. Very annoying it was at the time. I felt gutted. Another bird I missed at Canons was a male Pied Flycatcher and it was clear to me at that time, particularly with how work commitments were developing, that any hopes of generating a decent Surrey list were hopeless. Add to the missed or dipped list a Roseate Tern and White-winged Black Tern at Staines Reservoir, a Spoonbill at Barnes and a Great White Egret at Beddington, and it was enough for me to close the book on that quest. 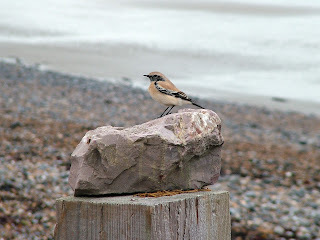 Instead, I focused more on rare birds in general and a London list. London has had a remarkable year with two outstanding megas and a number of very rare birds and scarcities throughout the last 12 months. Rainham Marshes became a regular haunt, starting with the difficult to see, yet ultimately rewarding, Marsh Warbler in June and ended with the even more frustrating but equally satisfying Baillon's Crake in September. My London list included, in no particular order, the Baillon's Crake, American Buff-bellied Pipit, Little Bittern, Melodious Warbler, Marsh Warbler and Red-backed Shrike. I dipped a Sabine's Gull and Glossy Ibis, and missed out on the Bonaparte's Gulls, Wryneck and Tawny Pipit. All in all it was an enjoyable London year on many levels, including for non-birding events such as the London 2012 Olympics and 2012 Paralympics. Those were two massive events I will never forget, particularly the latter having had a front-row seat opposite the podiums on the thrilling Thursday night when Team GB won a stack of medals, including fabulous golds for Hannah Cockroft, David Weir and Jonnie Peacock. It was also a year of change locally. The once Barcelona FC-like super team at Beddington is now minus one of its leaders. Johnny Allan, aka Badgeman, has left the area and may never be back after dipping a Long-tailed Skua one October afternoon. Also very recently Pete Naylor, the top London birder who discovered the male Red-backed Shrike on his local patch, passed away. I didn't know him that well, but I spoke to him on a number of occasions. He will be sadly missed by many. At the end of 2011 my targets for 2012 included studying harriers which, in effect, I did as I wrote my first birding feature for Birdwatch magazine in November, the cover story on the plight of the Hen Harrier. I also thought I might do a bit of sea-watching. This I also did with mixed results but enjoyed it nonetheless. I am going to keep an open mind for 2013. I'll probably continue the London list and travel a couple hours away to see a rarity or two. But as with most aspects of bird-watching it is best simply to keep an open mind and let the hobby take you where it wants you to. In the meantime, have a great 2013 and enjoy your birding. And so to the awards. 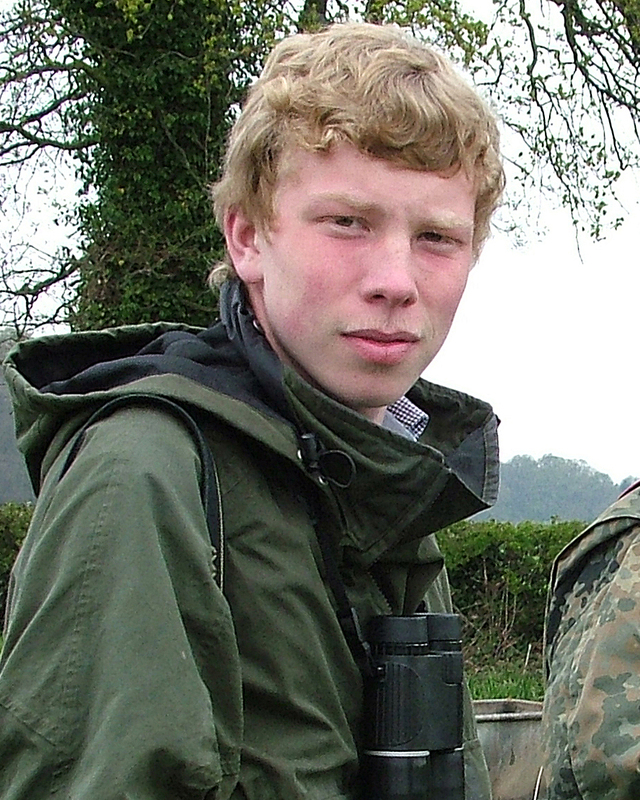 Congratulations to David, winner of the Patch Birder of the Year for the second successive year. He would have had a run for his money from Johnny Allan, but the former Beddington mega-lister went walkabout after dipping a Long-tailed Skua over Beddington Farm some months back and hasn't been heard of since, which is a great shame. David, however, is a deserving winner with some remarkable birds seen at Canons Farm this year, despite having to sit out his birding for a couple of weeks after catching chicken pox last month. The biggest prize of all was the sight of 15 Dotterel landing in a field and staying all day in May until a fox forced them to fly off as the sun went down. These Dotterel were the first to be seen in Surrey since the 19th century so it was without doubt the highlight of the Surrey birding year for those who saw them. 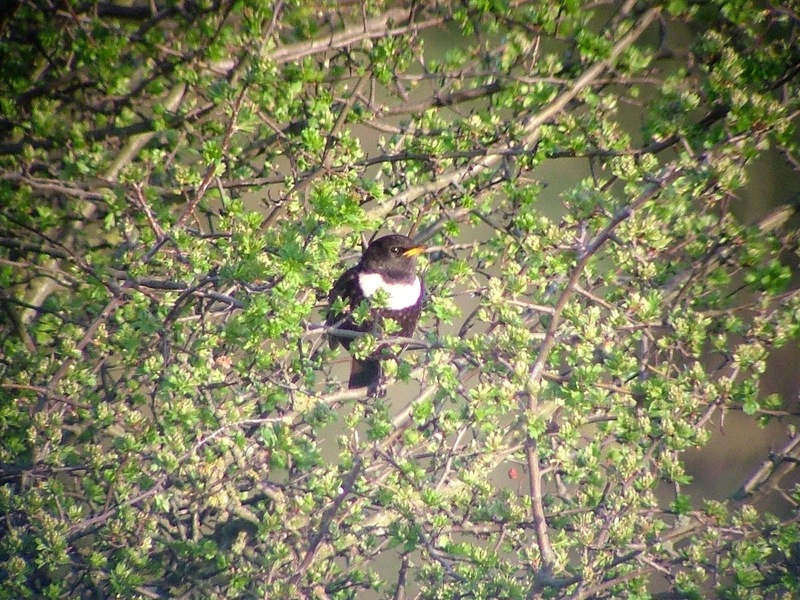 The other great sightings at Canons included a male Pied Flycatcher and many Ring Ouzels, two of which dropped in during the autumn migration – a first for the patch. David hosts two excellent blogs – Devil Birder and Canons Farm and Banstead Woods Birds (see links). He also produces the annual Canons Farm and Banstead Woods Bird report – a finely detailed full-colour report on his findings every year. Congratulations to Canons Farm on a remarkable year. 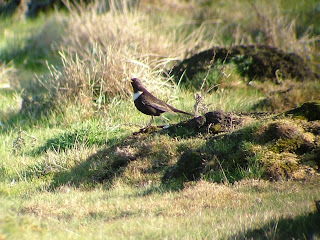 Dotterel, Ring Ouzel, Pied Flycatcher and Black Redstart were just a few of the species that dropped in to the Farm, which covers an area south of Banstead, just off the A217. While it is basically farmland and woodland, it is remarkable how many species either drop in or fly over the patch. I had a bad dipping patch in the spring, but from then on I managed to avoid many. This was mostly because I didn't get out birding nearly as much as previous years due to work commitments and family illness, which is an ongoing situation. Nevertheless, undoubtedly the dip of the year was the 15 Dotterels at Canons Farm. Not really a dip really as I knew they wouldn't be present the morning after they appeared. But I went along all the same. A grey cold morning didn't get any brighter that day. What a little beauty this fella was. Incredibly tame and apart from anything else, a little show-off. Being a bird that spends most of its life in North Africa and away from human beings, it had no fear of the group of strange animals pointing cameras and scopes at it. The American Buff-bellied Pipit and the Hornemann's Arctic Redpoll were equally as tame, but they were oblivious to the attention they were getting. 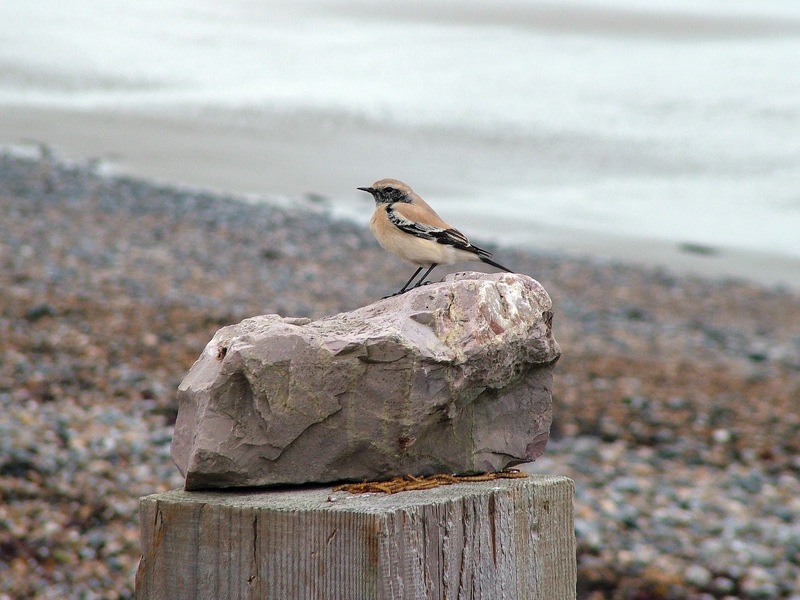 This Wheatear, however, appeared to revel in the attention, often flying down close to your feet before flitting back up to a vantage point. 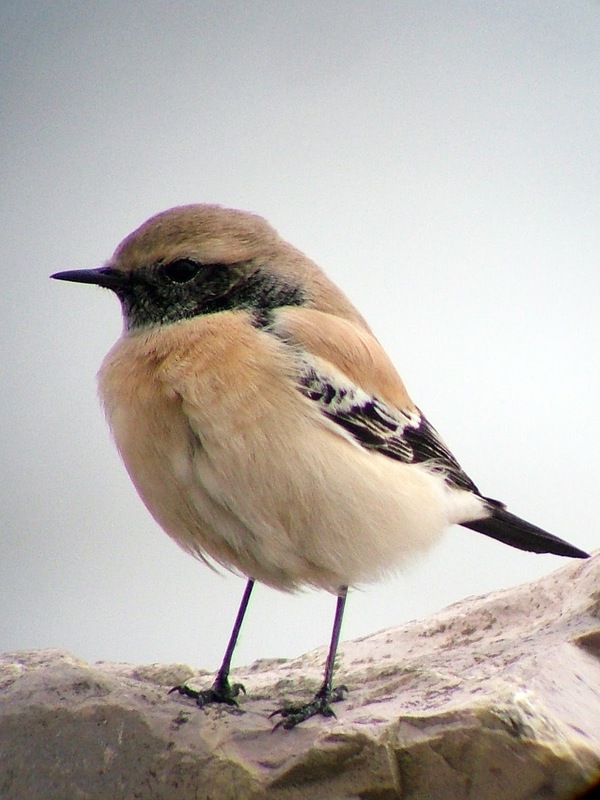 This male Desert Wheatear enjoyed human company. Magical. I gave this award last year to Tom McKinney and soon after he stopped blogging. It occurs to me all the great bloggers don't write enough, apart from Jonathan Lethbridge, who writes a lot. I hope he doesn't go the same way as Tom, who was distracted by a newborn offspring. Jonathan has three of his own so my fears are probably unfounded. 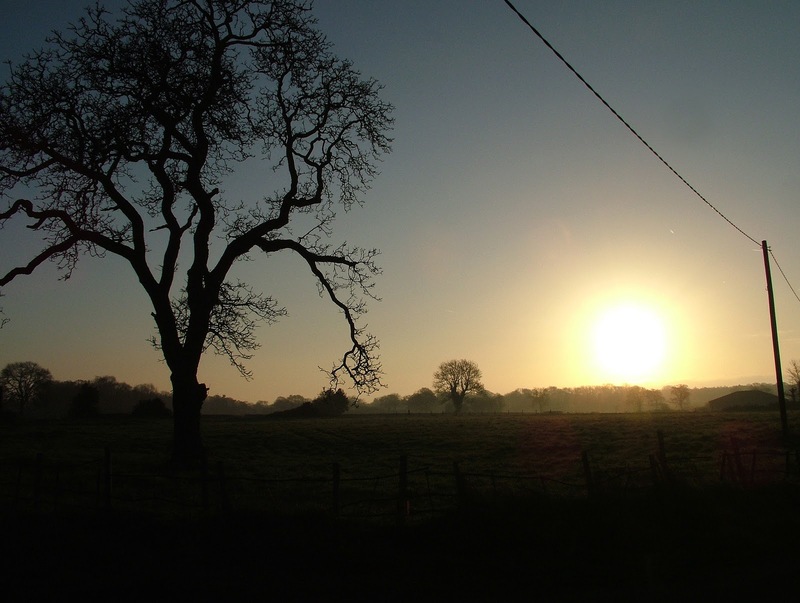 I think Jono would prefer to win a photographic award – it is his true passion. However, there are hundreds of good photographers out there but very few great writers, of which he is one. Effortlessly witty. Winner for the second time in three years. 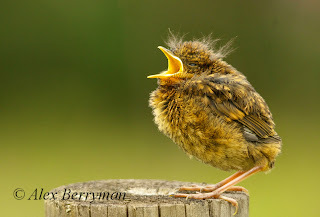 Alex took this fantastic photograph of a young Robin. 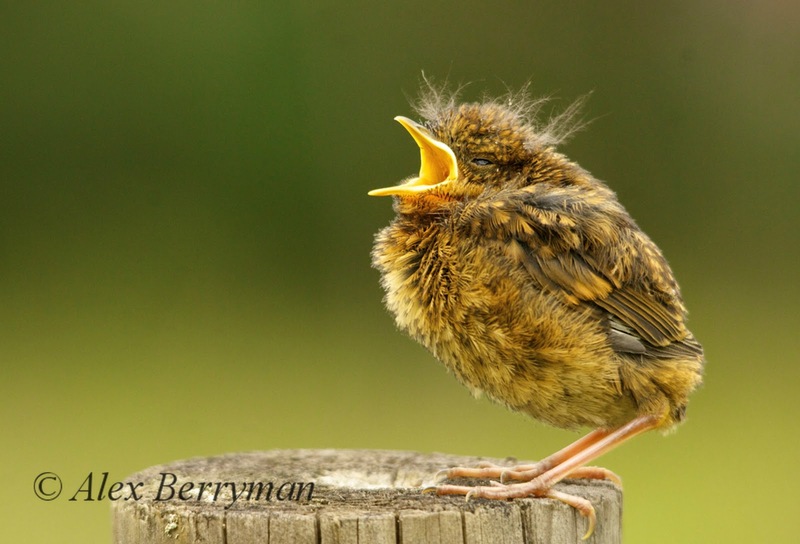 He has won many awards this past 12 months including the RSPCA Young Photographer of the Year and RHS Young Photographer of the Year. What makes him remarkable is that he has such an awareness of what makes a great image. This one has everything. Composition, simplicity and wit. Truly brilliant. It is also probably important to point out at this juncture that Alex is only 15 years old. A bright future ahead I think it's safe to say.